Cooking a full meal is no easy feat. With timing, preparation, coordination, and accidents just waiting to happen, it’s a miracle we get out with our sanity intact! 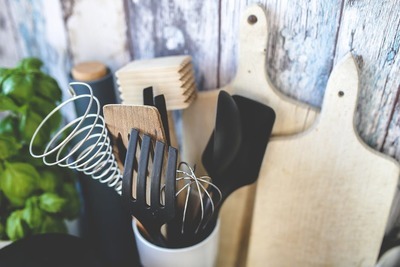 It’s time to let modern technology give us a helping hand in the form of awesome kitchen gadgets that make our lives a little bit easier and a lot more fun. Keep reading to see what you’ve been missing out on all this time. You don’t have to be a millennial to be obsessed with avocado toast, but you do have to do some pretty unsavoury things to the avocado to make it work. Make your breakfast a little less dicey by picking up an avocado slicer, which pits, peels, and slices your avocado without using a knife. Goodbye bloodshed, hello breakfast. Breakfast sandwiches are a pretty big deal, but a heck of a lot of effort for 8 am. Unless you want to shell out 5 bucks a pop or use about 5 frying pans to make one yourself, you’re out of luck. Save money, time, and effort with the help of a breakfast sandwich maker, which is a brilliant all-in-one appliance that simultaneously cooks all the ingredients of your breakfast sandwich for the easiest breakfast of your life. Can’t get enough of ice cream sandwiches? Neither can we. Live your best life right now by indulging in an ice cream sandwich maker that lets you mix and match your favourite ice cream and cookies for maximum ice cream Sammy impact. 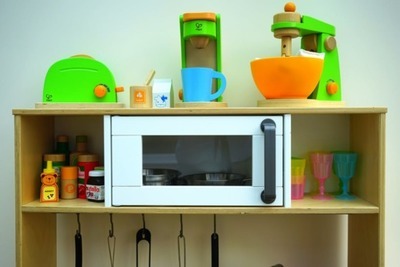 This list may include multiple breakfast appliances and gadgets, but breakfast is totally the most important meal of the day, and nothing proves that statement truer than a breakfast station. This is the gadget to end all gadgets: with a built-in coffee pot, toaster oven, and griddle, you won’t have to touch the stove once and you’ll have a complete breakfast. If you require coffee in an IV to wake up most mornings (like yours truly), you need a coffee alarm clock in your life. Set up the ingredients the night before on your nightstand, and you’ll wake up to the smell of fresh, hot coffee. Take your first sip without even leaving your bed—seriously, how do we not all have one of these?! Check out IN BED for other amazing home and bedroom accessories. Spruce up and declutter your Kitchen countertops by switching to a 7-in-1 instant pot, which is somehow seven different appliances in one. This includes a slow cooker, rice cooker, pressure cooker, warmer, steamer, yoghurt maker, and possibly even more. We’re still not convinced that magic isn’t involved. This is only slightly as dirty as it sounds; herb strippers take the work out of chopping up fresh herbs, so you can have MasterChef-worthy meals without all the fuss. And giggle every time you use the gadget, of course. Take the work out of making a salad by getting a handy, 60-second salad maker. It helps you hold all the vegetables in place at once, so you can rapidly chop up everything for your salad. Hey, if something can make eating salads a little less painful, we’ll do it. For the beach bod, of course. Who says you have to be a kid to enjoy pancakes in funny shapes? Make breakfast fun again with a pancake pen that helps you make epic pancakes in the shape of your kiddo’s favourite cartoon character, or letters to remind your significant other to take out the T-R-A-S-H.
Chopping up vegetables can be a pain, especially when you don’t have enough room on the cutting board. Become a master chopper (yes, that’s totally a thing) with the help of a cutting board that comes with convenient drawers underneath so you can scoop veggies in and continue chopping without breaking a sweat.